I am not the most organized of people. My fiancé on the other hand is. Our bathroom counter was becoming a bone of contention due to my, ahem, mess. 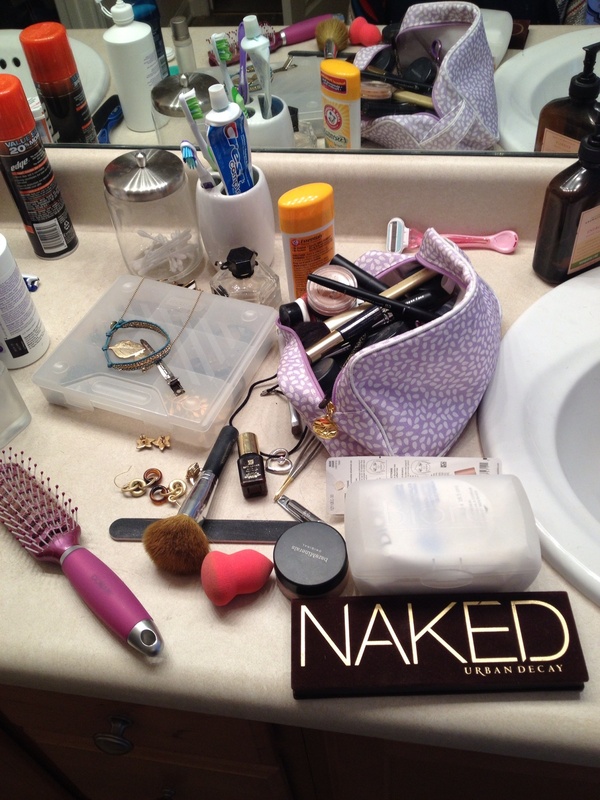 I have a fair amount of make up and a ton of jewelry and hair products that typically line my side of the sinks. Exhibit A. Yes, that is the Urban Decay Naked pallet. I am totally obsessed, but I digress. . . I have been looking for a while to find a make up bag that was big enough for me to stick everything in but not be hideous. Enter Layla Grace. a friend directed me to this site for a completely different product (iPad cases, they sell ’em). While I was browsing I found these awesome Petunia Pickle Bottom Travel Train Cases. I ordered one faster than you could say “get your mess under control Halley.” It came today and I wasted no time throwing out my old disaster and putting everything into this cutie. The best part is that this grey goes perfectly with our bathroom decor and it has a coated fabric that can be wiped clean. We all know that I am going to drop mascara and foundation all over it. I chose the one in the link above-the color/ pattern is called Berkshire. 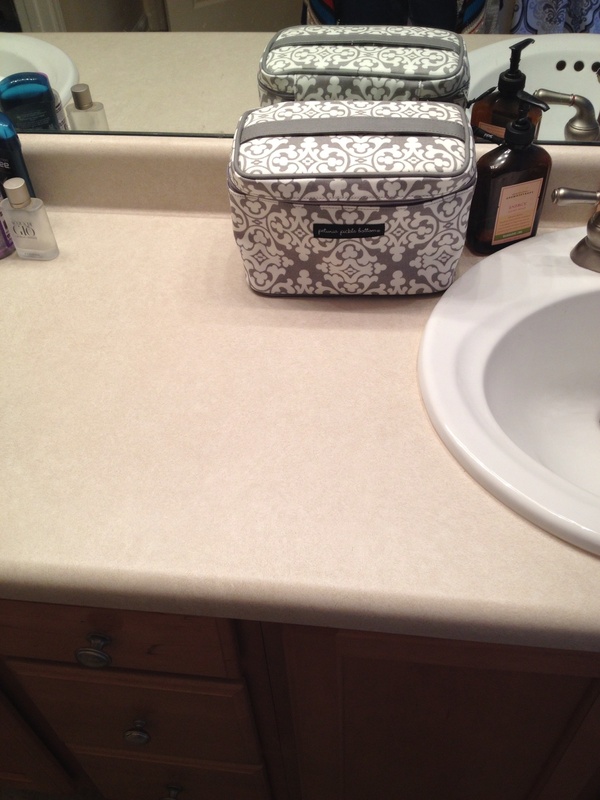 Without further adieu here is my bathroom counter (my side at least) with my gorgeous new travel train case. How do you guys keep all your makeup and hair products organized? The after pic looks so clean :). I love that NAKED palette too! Thanks! The Naked pallette has been so much fun to play with. You can seriously create so many looks! How do you guys keep all your makeup and hair products organized? Sadly, I don’t. All of my hair/makeup products are split between the bathroom and my bedroom. Right now we are renovating our bathroom, but once we are done I am definitely getting some type of organization method implemented ASAP. I love the train case. Cute!!! Congrats on your renovations! I am sure once everything is done that will give you a push to be organized. My next project is under the sink and the bathroom closet!